Get Body Beast Challenge Pack! Why Body Beast instead of a gym? It’s the primary hormone your body calls upon to develop muscle mass, and Dynamic Set Training is designed around enhancing your production of it. The more testosterone your body makes, the faster you will get big. With Body Beast, different training strategies are employed—from Prefatigue Sets to Drop, Force, and Tempo Sets—creating greater time under tension and a faster and more effective workout. The three phases. Body Beast has three specially designed phases, with corresponding nutrition phases, to help you Build, Bulk, and become a Beast. Build, the first phase, focuses on creating a strong foundation physically and nutritionally, while getting your head in the game for Phase 2. Bulk, the second phase, is where size begins to show and your body really begins to change. And Beast, the final phase, is where you cut up, get chiseled, and get ready for competition. 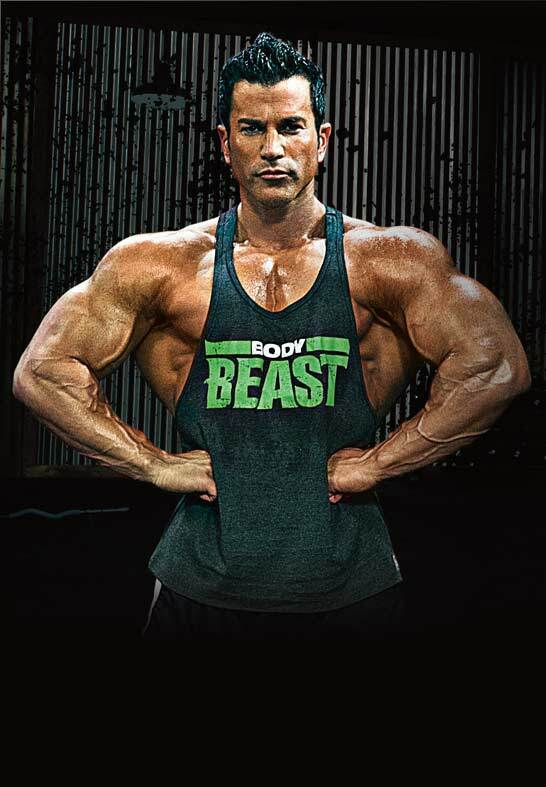 In just 90 days, you truly can become a Beast.